The best way to wash my car. Learn how to wash your car the right way. Car Wash Liquid: Notice I typed LIQUID, stay away from powdered car wash detergents, as the undissolved crystals can scratch. Buy a brand you trust, don't use dishwashing liquid, make sure it's for automotive use. Some brands have a gloss enhancer built in, others have wax in there too. I prefer to not use the ones with wax, you can try them and check the results. A bucket: Nothing fancy, all the stores have 4 or 5 gallon plastic buckets available, or head over to Home Depot and get one there. 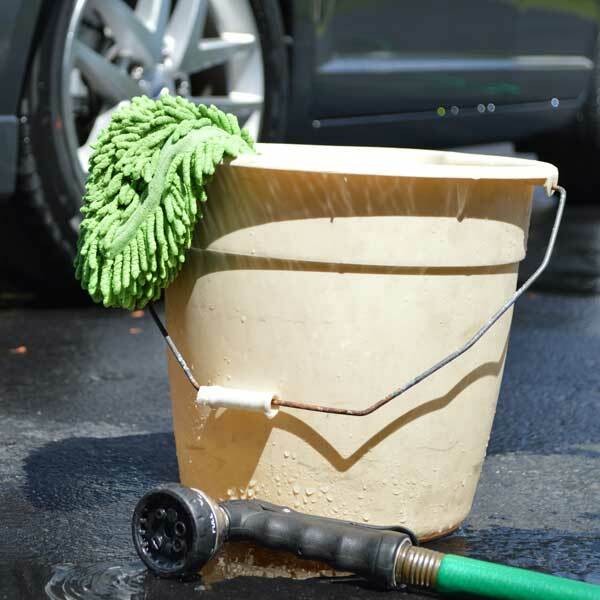 Once you have a bucket, only use it for washing your car, no storing drain oil, or other chemicals in it. Your wash bucket is your wash bucket, got it? A quality sponge or wash mit: I like the wash mit as it slips over my hand, less likely to fall to the ground and collect abrasive dirt and stones you just rinsed off your car, and can be cleaned by sticking the hose in the hand hole to flush out the fibers. Bug and Tar Remover: Make your life easier and find a good bug and tar remover. I prefer Turtle Wax Bug And Tar Remover, but try a few and see which works best for you. Chamois or Towels for Drying: Always 100% cotton if you are going to go the towel root. Synthetic chamois like "The Absorber" are my favorite for drying a car after washing. They absorb a vast quantity of water before having to be wrung out. Keep them clean and stored properly and they will last years. Start in a cool area out of direct sunlight. I usually went down the entire vehicle, paying special attention to wheel wells and under the car to knock off large pieces of dirt and road grime where possible. Next spray bug and tar remover on the surfaces which have bugs and tar, usually the front grill, fronts of the side mirror housings and behind the wheels. Be cautious as most bug and tar removers are petroleum based and can take off wax is you use too much or leave it on too long. The idea is to soften the bug guts or tar with the bug and tar remover and get it off ASAP. I will go as far as making up a concentrated solution of car wash liquid (1 cap of detergent to 1 - 2" of water) in my bucket and using my wash mit, scrub off the bugs and tar before moving on to washing the rest of the car. Now it's time to wash... start at the top of the car and work in sections. 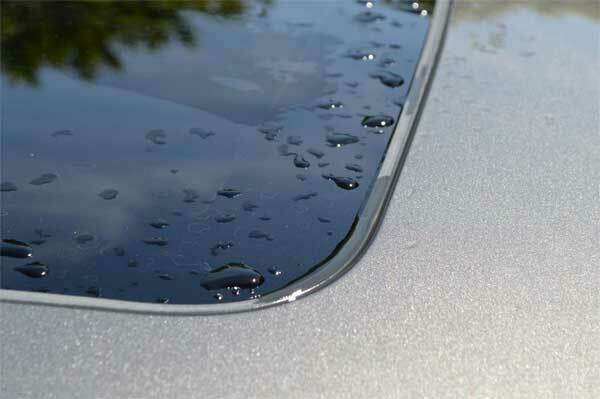 Try to keep the entire car wet and you move along, this will avoid water spots. I typically do the roof, then hood, rear trunk lid,rear bumper, front bumper doors then finally fenders. When washing always rinse your sponge or wash mit off before putting it back in to the wash bucket. Your wash solution should be as clean when you finish, as when you started. Rinsing everytime before loading up with more soapy water, will make sure you are not polluting your fresh soapy water with the grime you just wiped off your car. Once you have everything washed, give it one final rinse and start drying. Again working from the top down. If it's hot out and the water is drying fast, I pay the most attention to the windows and mirrors first since they show the water spots the most. Then concentrate on the flat surfaces like the roof and hood. If it's hot enough, you will have a race on your hands, that is why it's better to have a cool day and to be out of the direct sunlight. There you have it... now shine up those wheels and tires and stand back and enjoy.